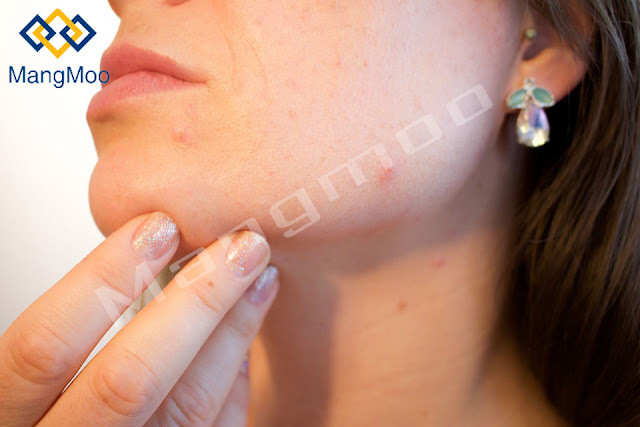 Today we will discuss the reasons that why acnes get on our skin and what steps taken to prevent acne and pimples from the face, Acne is a long-term disease that occurs when hair follicles are clogged with dead skin cells and oil from the skin. It is generally characterized by blackheads or whiteheads, pimples, oily skin, and possible scarring. It primarily affects areas of the skin with a relatively high number of oil glands, including the face, upper part of the chest, and back.The resulting appearance can lead to anxiety, reduced self-esteem and, in extreme cases, depression or also some thoughts of suicide. If acne occurs on any side of your face, so please don't let touch them because when you touch acne and then touch your hand on another side of your skin there maybe 50% chances of new acne occur on your face. Use the face mask to protect from dust and while riding there are more chances of dirt which will affect your face use helmet while riding the bike. Don't wash face with soap which you are using for washing hands, Use dermatologically tested face wash. If you have little bit acne on your face then you can also use white toothpaste as a healing treatment for acne. take 1 potato grind it and then with the help of cotton just apply the liquid of potato on your face where spots are active, this will give you a perfectly good look. Oily skin causes acne, getting the right amount of rest each night is important to holistic health, and it also can significantly affect the look and appearance of the skin. Sleep deprivation can result in insulin resistance. Insulin increases can result in the creation of IGF-1, a hormone that stimulates an increase in the production of sebum. Daily wash your face with the cleanser which is dermatologist tested and which have no side effects on your face because some products also cause several side effects on your skin. You can also use lemon as a treatment, Lemon is natural moisturizer which gives you fresh and beautiful look after applying the juice of the lemon on the face for 20 to 30mins maximum, you can also use honey for your skin treatment.